Fraud is unfortunately all-too-common in America. Innocent people can lose money on their investments through no fault of their own. Stock brokers and dealers can lose your money through unsuitable investments or excess fees, while companies themselves can commit securities fraud by failing to act disclose important information or failing to act in your best interests as a shareholder. This isn't just bad luck; it's an opportunity to recover your money and get justice. Shareholder Rights Attorneys is a top securities fraud law firm specializing in broker dealer fraud as well as shareholder lawsuits, and securities litigation. We investigate and seek recovery for damages where there has been wrongdoing, especially financial wrongdoing, on the part of corporations, their board of directors, and/or their corporate officers. So far we have recovered more than $250 million on behalf of our clients. We represent both individual and institutional investors and do so through lawsuits in all 50 states as well as through FINRA arbitration, as appropriate. The first step is to know whether you have a case. Please click here to contact us for an immediate professional consultation on your situation -- 100% confidential and 100% free. You may have grounds to sue a corporation and its officers and collect damages if they have engaged in securities fraud. To bring such a claim, you would need to have been a shareholder of a publicly traded company at the time that that company intentionally misrepresented, concealed, or falsified material financial information that it was under an obligation to disclose, and that these actions or inactions caused you to lose money, or not earn as much money as you would have otherwise earned had these actions or inactions not occurred. Investment advisor fraud, which is sometimes called stock fraud or broker fraud, refers to situations where a stock broker or investment advisor did not faithfully protect your interests and your money. For example, a top investment advisor fraud attorney can help you recover your money if your advisor or broker put your money into unsuitable investments that are too risky for you, or if they engaged in excessive trading or stock churning in order to increase their fees. It’s important to report investment advisor fraud as soon as possible, since there is often a time limit on recovery. Please contact us for a confidential and professional consultation with a stock broker fraud attorney; your initial consultation is free. A class action securities fraud lawsuit could occur when a number of shareholders have similar claims against a company for securities fraud. Rather than each shareholder having to sue the company individually, joining together in a class allows stockholders to make one consolidated claim. This can distribute the cost of a lawsuit over many individual plaintiffs, reducing the cost of litigation. 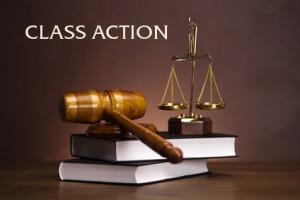 Most class action shareholder lawsuits are brought forward on a contingency basis. Our firm works in this way. This means that some or all of attorney’s fees are awarded by the court as a percentage of whatever money shareholders recover for your claim. As a top Los Angeles investment fraud lawyer (though we work nationwide), we will only take the case if we think that there is a good chance that you will prevail. That’s why we encourage you to get a free, expert consultation with a securities fraud class action lawsuit expert through our contact page. If you are a shareholder of a company whose directors and officers have acted improperly, you may have cause to bring a suit to recover damages and/or to compel specific actions. The directors of a company are required to act in the company’s best interests. If they don’t, and especially if they are putting their personal interests above that of shareholders, a securities fraud law firm working on behalf of shareholders may be able to sue them for damages. For example, a derivative suit could be filed if a company’s management had used corporate resources for their personal gain. Often times such suits are preceded by direct suits to examine corporate books and records. Shareholder Rights Attorneys deep experience in evaluating what sorts of claims might be successful in these situations, as well as in estimating the range of potential damages awarded. Normally it would the responsibility of a company’s management to defend the interests of the company. However, if the corporation’s management fails to do so, as could be the case if it is the company’s directors and/or officers themselves who are alleged to have committed the wrongdoing, the law permits shareholders to sue directors and/or officers on behalf of the corporation. Derivative actions are not limited to being filed against directors and/or officers of the corporation; they can be filed against third parties generally where appropriate causes of action exist and where the corporation has declined to do so. 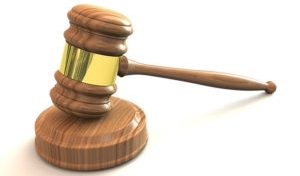 In a derivative suit, the shareholder is the plaintiff and the corporation is the defendant, although if the lawsuit is successful, damages would generally go to the company, not to the shareholders directly. This structure exists because a derivative lawsuit generally includes as defendants the third parties who are alleged to have injured the corporation and/or who have benefited inappropriately from corporate action or inaction. In these situations, even though the corporation and the third parties are all defendants, their interests will often diverge and the corporation will often have separate counsel from the third parties alleged to have committed wrongdoing. The corporation may or may take an active role in the lawsuit, and may argue that the behavior of other defendants did or did not cause it harm. If you have a dispute with a brokerage firm (e.g., failure to follow your instructions or purchasing unsuitable investments on your behalf), you can file a request to FINRA (Financial Industry Regulatory Authority) for arbitration or mediation. In either situation, it is strongly recommended to work with a FINRA attorney experienced with broker dealer fraud and the FINRA process. Read more about the FINRA process here. Find out about us, how we work, our results, and what makes us different. Learn how we can help you recover they money that is owed to you. Are you ready to get your case handled? It all starts with a free consultation with Avi Wagner, head of the Wagner Firm and Shareholder Rights Attorney.